The Indy 16" trainer unicycle is a great little uni' for children aged 9 up as well as some small adults. It features a quick release seat with grab handle and nonslip stem. 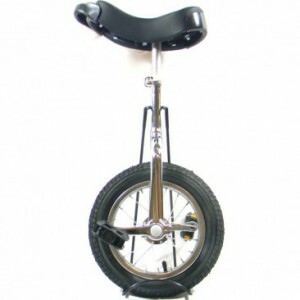 All the Indy Trainer unicycle components are made from strong steel and should cater for most practice sessions.